Why submitt to an UGIE? 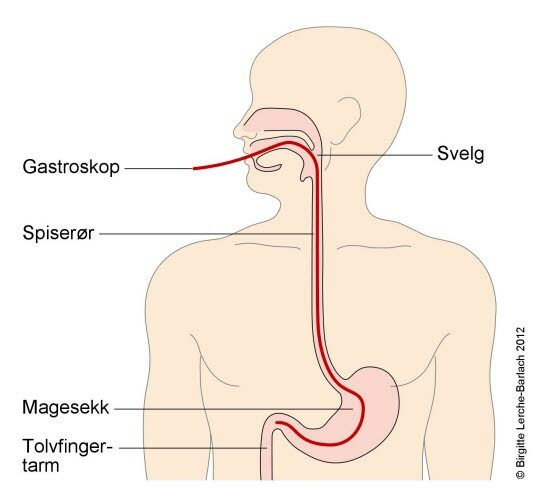 Upper GI endoscopy is a diagnostic procedure that visualises the upper part of the gastrointestinal tract (the oesophagus, the stomach and the duodenum (see illustration). A gastroscope or simply endoscope (since it is the most commonly performed type of endoscopy, the ambiguous term 'endoscopy' refers to UGIE by default) is a narrow, flexible, tube-like telescope that transmitts color pictures from whitin the body to a TV-screen. UGIE is an investigation which is done often and at most hospitals. Most of these investigations are routinely done as an out-patient or day case. Some specialists even do this examination outside hospitals.